Recurring plans are a great way to save time by allowing Kinderlime to automatically send out invoices for each billing cycle. This process is made even simpler by the ability to save your plans as templates. When a new child joins your program or a plan ends for an existing family, you can apply a saved template to that family with a few clicks. 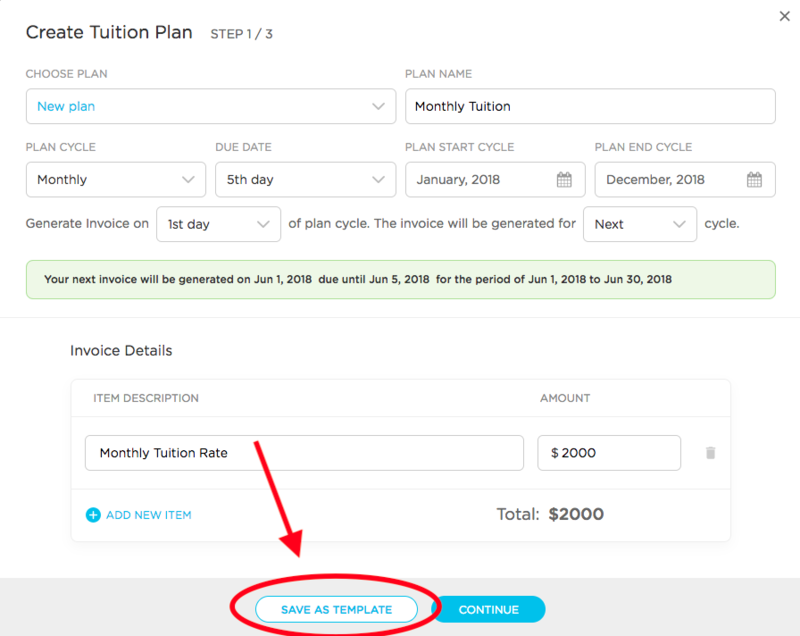 While creating a recurring tuition or attendance plan (click here to learn more), you have the option to save the plan as a template. After the plan is saved, you can click on the Plan Templates tab from the Billing --> Recurring Plans page to manage your templates. Use the ellipsis (...) to edit or delete a plan. Editing a plan template DOES NOT mean that you have edited a plan that has already been assigned to a child. Plans that are already active will need to be edited directly in order to change the charge amount. Each assigned plan is its own copy, and thus can be changed to suit each family's individual needs. However, if you have made a change to the actual billing cycle dates or invoice due date that affects all of the families, you will need to delete the families' active plans altogether and then assign your edited template.